The ARIES (Accelerator Research and Innovation for European Science and Society) Integrating Activity is organising its kick-off meeting at CERN (Geneva, Switzerland) on May 4th and 5th, 2017. 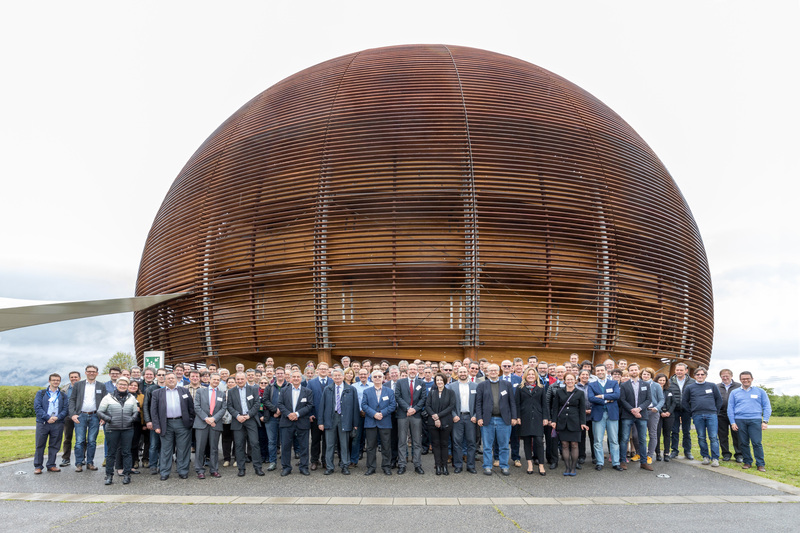 The project as well as the activities of the different Work Packages will be presented on Thursday May 4th at a special session taking place in the CERN Globe of Science and Innovation. On the morning of Friday May 5th in the CERN Council Room are foreseen the first meeting of the ARIES Governing Board and a dedicated Industrial meeting. In parallel will take place a meeting dedicated to ARIES Transnational Access; Networking and Joint Research Activities work packages will organise additional parallel meetings. Special visits for ARIES participants of the ATLAS LHC experiment visitors’ centre, to the SM18 and to CTF3 have been organised on Friday 5th. The organisers are also pleased to invite all participants to a special ARIES dinner on Thursday evening.